The Nordschleife, today the only circuit used, contains only 4 km of straight in its 22.18 km, and that straight is interrupted by humpbacked bridges. Apart from the broad Startplatz between the pits and the huge grandstand, is is of normal road width; cars blast down to the wide sweep of the Sudkehre and back behind the pits to the slightly banked Tribunenkehre or Nordkehre where they sweep left and vanish from the grandstand view. After the Karussel a long, winding climb follows to the H�he Acht, then dives down twisting and turning to Br�nnchen, through the fast Pfanzgarten bend and on to the Schwalbenschwanz double turn. Up, then, to the Dottinger H�he and a left-hand sweep onto the home straight with its humpbacked bridges, a last 120 m.p.h. curve under the Autoniusbruche and so back to the start and another tortuous 14.17-mile lap. Today the longest circuit to host a Formula 1 race is the Spa-Francorchamps in Belgium that was shortened from it's original length of fourteen to its current seven kilometer. The old town to town races of the heroic past of which the Mille Miglia, Targa Florio and the Carrera Panamericana were the remaining holdouts are a distant memory. Except for temporary street circuits in Monaco and now Singapore, races are held on specially built and ever more antiseptic closed circuits. Charles Jarrott, that wonderful chronicler and participant of motor racing at the beginning of the last century remarked that racing on closed circuits destroyed the charm and natural judgment required when racing on the open road and replaced it with the dreary monotony of grinding out a certain distance over the same road again and again, rewarding the drivers most reckless and daring rendered possible by the knowledge of the course. In fact he remarked how boring the last three-parts of the race had been on his way to victory at the 1902 Circuit des Ardennes and that he had not even bothered reconnoitering the circuit even though it was only fifty-three miles in length! To Charles Jarrott the continual passing and re-passing of the same landmarks were little more than tiring. Over the years Graham Hill had jotted down all of the issues he has encountered in racing in a little black book. When he would go out to the circuit Hill would simply flip it to the appropriate page to find out what problems he may encounter and how he should set up his car to compensate. Today there are many tomes on cornering technique available to the beginning driver, the most famous having been written in 1958 by Piero Taruffi. In his section on cornering he mentions the "conventional line" which in effect attempts to take a corner in more or less its maximum radius by starting at the outer edge of the road, clipping the apex and finishing again at the outside edge of the road. 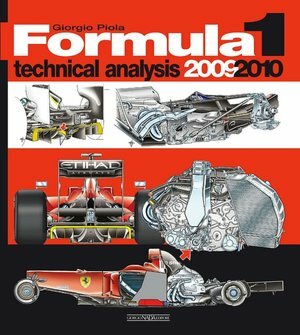 While Taruffi's book is considered by many including the great Fangio to be the first "text-book" on motor racing this technique has been around since the dawn of circuit racing. An eye witness at the 1908 French Grand Prix described the following, manner in which Leon Th�ry negotiated the difficult downhill bridge section at Ancourt. "Hugging the outer edge of the road he cut across to the inside edge under the bridge and, cutting the corner on the other side in the same way, was gone up the slope without the trace of a skid." Théry's great rival, Camille Jenatzy used a slightly different technique as recounted by a fellow participant in the 1903 Gordon Bennett Cup. Rain was called the great equalizer. To be considered good in the rain was a badge of honor and to be called Der Regenmeister was the height of accolades. Herman Lang was fully competitive with the other drivers except when it came to rain. Reuolf Caracciola was the accepted regenmeister but Lang was still not comfortable in those conditions. It took extra practice under the tutelage of Neubauer in order for Lang to gain more confidence. I cannot give enough praise to the inspired driving of the winner. He averaged 72.82 mph, and I, who came in eleventh and second of those who started from scratch, was more than pleased with 69.01. Not for an instant did Caracciola falter. The rain was blinding and the roads never more slippery, but whenever he passed me at that terrific speed I felt no envy, only incredulity at his skill, his courage and the endurance of his car. He broke records with ease under a deluge of rain, on road that was at times almost flooded, and never sacrificed the safety of others to his own ambition. The use by race officials of flags and other signals have been around since the beginning. During early city-to-city racing there were established control zones within city limits where the cars were escorted behind the precursor to the modern day safety car, a man on a bicycle only to recommence racing as they left the city behind. Currently Formula 1 has started using a virtual safety car which is a combination of on-board and trackside signaling. Once the VSC has been deployed no car may be driven unnecessarily slowly, erratically or in a manner which could be deemed potentially dangerous to other drivers or any other person at any time whilst the VSC procedure is in use. This will apply whether any such car is being driven on the track, the pit entry or the pit lane. In fact, no car may enter the pits whilst the VSC procedure is in use unless it is for the purpose of changing tyres. All competing cars must reduce speed and stay within a target speed range. The goal is to produce an actual reduction in speed of around 30% by all cars on the track and limit any bunching up of cars behind the safety car. Returning to the 1908 French Grand Prix and the bridge section at Ancourt. This section was considered very dangerous by the race organizer who placed a bugler at some distance who would announce the approach of a car with a blast of his instrument. This was to allow a flag man ample time to run up the road and warn any competitor should the section be blocked by an accident from another car. Luckily for the flag man this did not happen during the main event! Regretfully for the flag man the invention of onboard warning lights and safety cars were still almost a century away.